This summer Dr. Ross was named Chairperson for the Department of Law Enforcement & Justice Administration at Western Illinois University. Darrell Ross has added another accomplishment to his long list of accolades and achievements. This summer Dr. Ross was named Chairperson for the Department of Law Enforcement & Justice Administration at Western Illinois University. While at his previous employment, East Carolina University, Dr. Ross taught criminal justice courses and was Chair of the department. During his tenure there, Dr. Ross was awarded the Distinguished Scholar/Professor Award (2004) and the Outstanding Teaching Award (1997). Those of you who only know Dr. Ross from PPCT and/or ASLET Conferences, may not be aware of his background in criminal justice. From 1985 to 1992 he worked for the Criminal Justice Institute at Ferris State University. He is also a veteran in the field of corrections, working for twelve years as an officer, a Unit Manager of a psychiatric housing unit, a probation officer, and an academy instructor. Dr. Ross has published 50 articles and 4 books; he has made presentations at more than 100 national and international conferences. 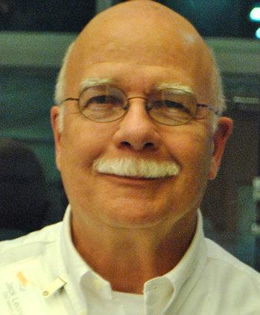 He has served as a Staff Instructor on PPCT’s Executive Advisory Board since 1989. Dr. Ross has also been certified as an expert witness since 1988. During that time he has prepared cases and/or testified in 20 states, both in state and federal court. His current position is with a university department that serves approximately 1,400 undergraduate students (one of the largest in the nation). Students there are required to serve an internship in one of over 1,100 approved agencies throughout the country. The program is obviously paying off, since the department has a job placement rate of over 90 percent. As Director of Research for PPCT, Dr. Ross has overseen numerous research projects conducted by Instructor/Trainers. Along with Staff Instructor Dr. Paul Whitesell, he has ensured that PPCT’s status as a research-based organization has continued not only to flourish but also to expand. Over the past 16 years I have conducted numerous seminars with Dr. Ross, including courses at the Consolidated Brig at the Miramar Marine Air Station, the Coast Guard International Boarding Team at Yorktown, Virginia, and officers from Fort Bragg and Pope Air Force Base in North Carolina. Perhaps our most celebrated training was when Bruce Siddle sent Dr. Ross and me to Hong Kong in the fall of 1995. There we provided re-certification in Defensive Tactics and Spontaneous Knife Defense to correctional officers at the Staff Training Institute in Stanley. I mention these seminars to demonstrate how well and how long I have known Dr. Ross. He richly deserves his current position as Chair of the department. I hope that each of you appreciate all that he has accomplished both with PPCT and in the world of academics. The next time you have contact with him, please add your congratulations to mine. About the Author: Jack Leonard is a retired peace officer with over twenty years of law enforcement experience. 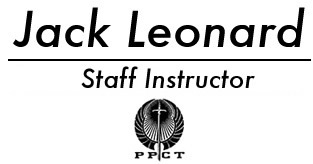 He was first certified as a Defensive Tactics Instructor in 1981, and he has been teaching PPCT courses since 1987.